The all-new 2019 Lincoln Nautilus is a luxury compact crossover SUV that is turning heads just by the way it looks. 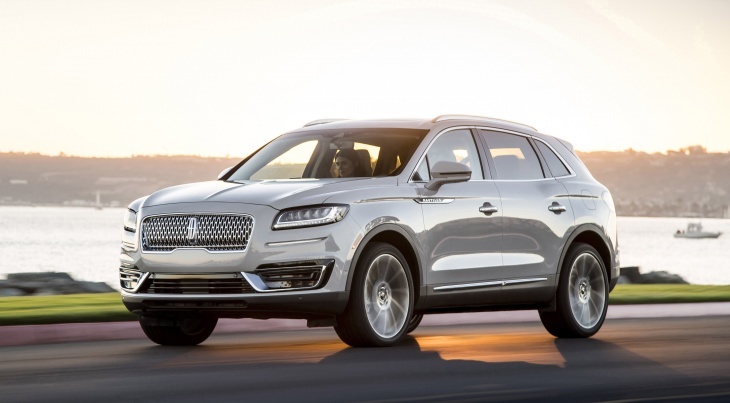 The Nautilus is the replacement model for the previous Lincoln MKX, a popular a 5-passenger mid-sized luxury SUV. Due to it’s smart looks, luxury interior, quality of build and affordability, the Nautilus will become a direct competitor to other models such as the BMW X3, Audi Q5 and Mercedes GLC. With prices starting at $40,340, the Nautilus comes equipped with a 250-horsepower turbo-four engine, as well as an eight-speed automatic transmission, and front-wheel drive. The Nautilus is also available in a Black Label Trim model, which includes enhanced performance and extra features such as upgraded leather, a sunroof and 21-inch wheels. The larger version of the Nautilus that Lincoln also manufacture is the $70,000-plus Lincoln Navigator, their flagship model. Have a look through our pictures of the all-new Lincoln Nautilus and some of the things you need to know about it.